Melissa Shaw, PA-C, is a certified physician assistant specializing in dermatology at Knight Dermatology Institute, which serves the communities of Lake Mary and Orlando, Florida. Melissa is a skilled provider whose caring, knowledgeable approach puts her patients at ease. Melissa takes the time to get to know her patients, answering questions and empowering them to make choices about their skin care needs. As a native of Pittsburgh, Melissa completed her bachelor of science in biology at Allegheny College in Meadville, Pennsylvania. She worked as a research associate in a craniofacial biology lab at Children’s Hospital of Pittsburgh before beginning her medical training. Melissa earned her masters of medical science at Nova Southeastern University in Orlando, graduating with highest honors. Melissa joined the team at Knight Dermatology Institute in 2016 and completed a year-long training with Dr. Knight. Melissa is board-certified by the National Commission for Certification of Physician Assistants, and licensed by the State of Florida Board of Medicine. 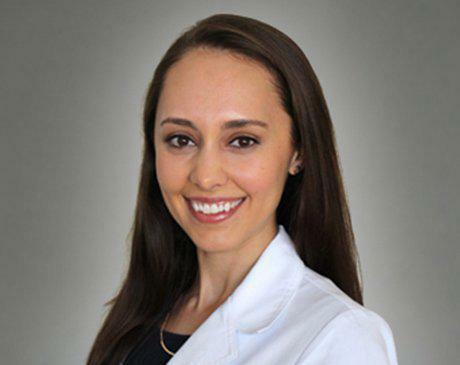 She is also a member of the Florida Society of Dermatology Physician Assistants, Society of Dermatology Physician Assistants, and American Academy of Physician Assistants.